The Perfect Serve Glass Series by Spiegelau has been developed together with the internationally awarded bar expert Stephan Hinz. It combines functionality and aesthetics at the highest level. The series’ glasses meet all requirements of a modern bar. They are perfectly balanced in size and weight to lay perfectly in the hand of experts and amateurs. The timelessly elegant Crystal glasses show a unique light refraction and brilliance thanks to a special cut decoration. At the same time, the glasses are extremely scratch-resistant, durable and dishwasher-proof. For pre-cooling, they also fit in a standard freezer. The Perfect Serve Glass Series by Spiegelau includes S.O.F and D.O.F glasses, long drink glasses in two sizes, a Coupette glass and a cocktail glass, a tasting and a nosing glass, as well as mixing glasses in two sizes. A starter kit with a mixing glass, strainer, bar spoon, bar measuring cup and two Coupette glasses, cocktail glasses, longdrink glasses and S.O.F. glasses is also available. 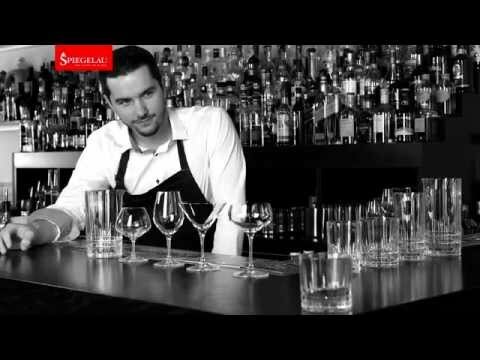 The Perfect Serve Glass Series by Spiegelau has been developed together with the internationally awarded bar expert Stephan Hinz. It combines functionality and aesthetics at the highest level.